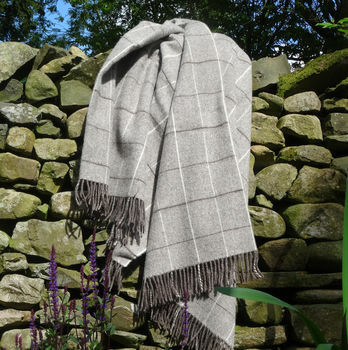 A gorgeously soft throw woven from British wool. Soft, snuggly and light. Wrapping up in this throw feels like wearing a big fluffy cloud. 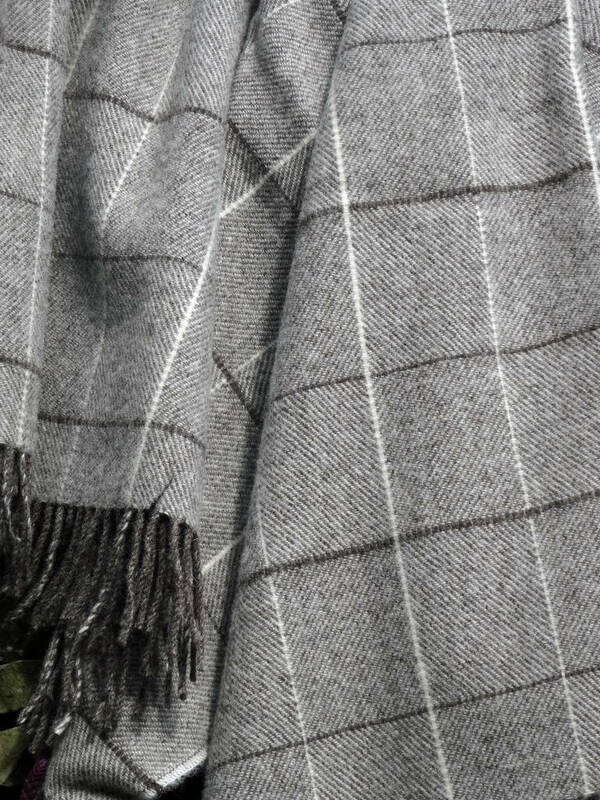 Woven in Scotland from undyed wool. This throw celebrates British wool at its most magnificent. 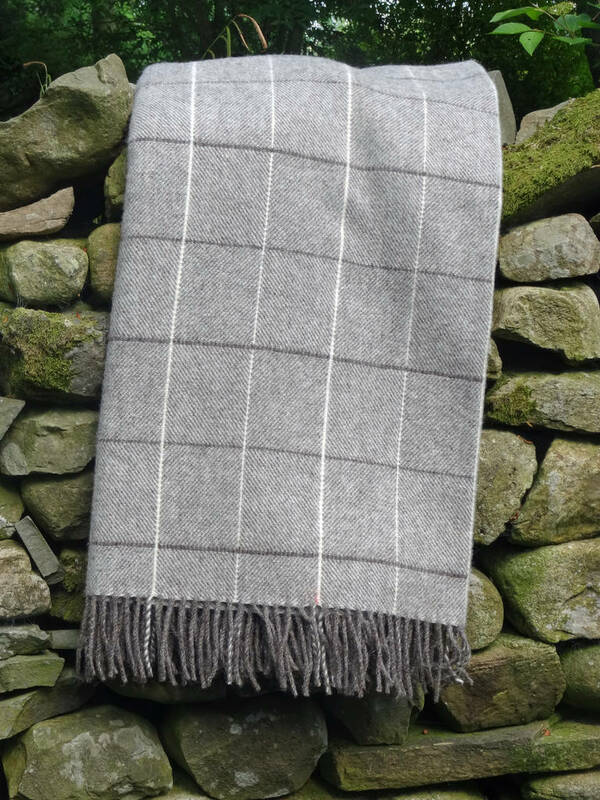 Our blankets contain nothing but wool, all of which is sourced from farms in Cumbria and the Yorkshire Dales. Our Twill Throw contains Hebridean and Bluefaced Leicester wools. We source our wool straight from the farm gate and work with spinners in West Yorkshire to create the yarn. The yarns in this throw are all natural, undyed colours. Approx. 150cm x 185cm plus short fringe.